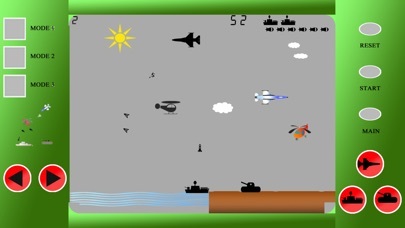 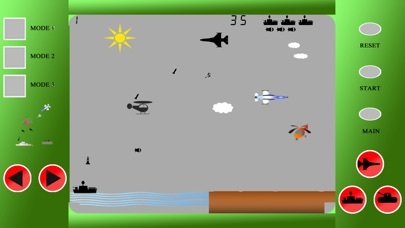 Helicopter vs Enemies Battle Retro is a 1980s style. 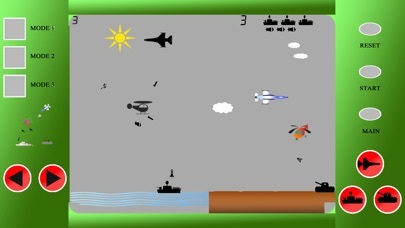 Mode 1: Fight Ship(at Sea) firing shells and Fighter jet (Air) with missiles. 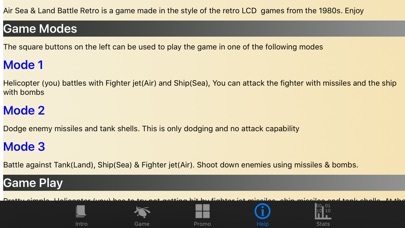 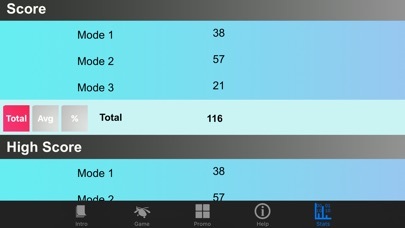 Mode 2: Dodge Missiles(from Fighter jet), Missiles(from Ship), and Shells (from Tank).